In 1834—and with a population of 9,000—the Town of York became the City of Toronto. 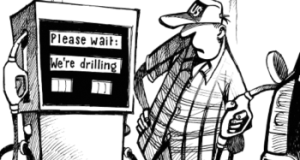 Within ten years the population would more than double to over 24,000. 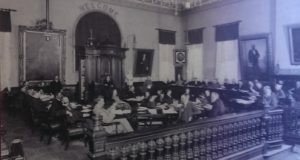 Due to this expansion a decision was made to construct a newer and grander City Hall on Front St. E. to replace the older one on King St. A design competition was held and the winner was Henry Bowyer Joseph Lane. The new Front St. City Hall opened in 1844. It remained in use until 1899 when the municipal government relocated to Queen and Bay streets into what is now Old City Hall. 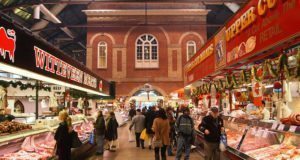 Concurrently with the relocation of the seat of municipal power, the city government decided to build a magnificent new St. Lawrence Market. The planners opted to keep the centre block of the original Front St. City Hall and integrate it into the market designs. 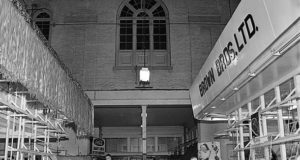 Today that beautiful red brick structure still stands within the South St. Lawrence Market and is home to the Market Gallery. 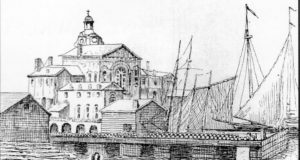 When the new Front Street City Hall opened in 1844 it was built right on the then waterfront. 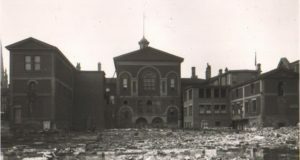 When the new St Lawrence Market was being planned it was decided to keep the centre block of the original City Hall.